If you have been in the office recently, you may have seen me walking around with a bottle of corn oil and thought I was crazy, my office development person certainly does. However, there is no test point on the body for lack of omega-3 fatty acids. The only way to test it for it definitively is a blood test. We have an excellent blood test for this and gives a huge amount of information concerning your health, what your health is going to be in 20 years, how much information you have going on in your body, how your body is handling carbohydrates etc. One of the ways that I determined the body can be tested to find out it it is low on Omega-3’s is to test with a great source of Omega-6’s, thus my bottle of corn oil. Now in our body, it is important to have things such as Omega-3’s and Omega 9’s and other essential fatty acids because our bodies cannot produce them and we have to get them from out diet. However, the rub comes when you have an excessive amount of Omega-6 fatty acids in your body. Omega-6’s cause a significant amount of inflammation if they are in high abundance in your body. This information can result in any number of things you may not expect, specifically heart disease, cancer, Alzheimer’s, diabetes, and many other dreaded diseases that are killing many Americans today. Because there is no quick and easy way to muscle test this, I have started using corn oil as a means to find out if somebody has excessive omega-6 fatty acids in their diet. 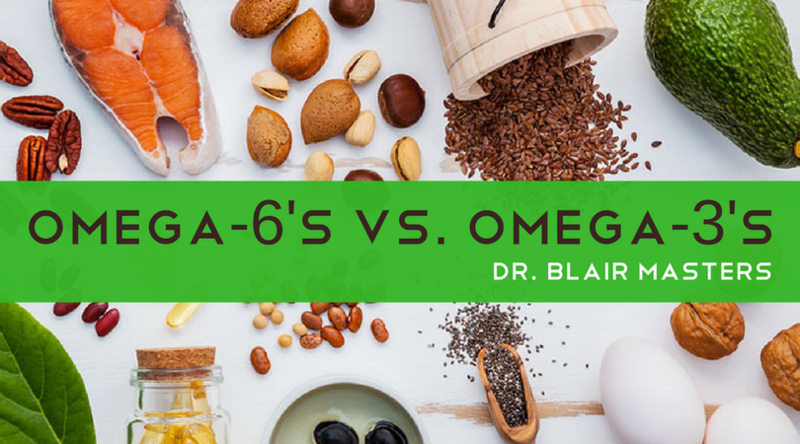 When I find an overabundance, I often times recommend a follow-up blood test to make sure, but no matter what, when I find excessive Omega-6 using muscle testing, then I always recommend that people increase their Omega-3 intake in their diet. The best way to do this is to take a supplement. Supplementation is really the only effective way to do it in our society today. Eating fish used to be an effective way to increase your omega-3’s and it still does, however, so much fish in this day and age is farm-raised and are a poor source of omega-3 fatty acids that I really do not see this as viable way to improve your health. If you have pain in your body that is there chronically, this is a very common sign of excessive omega-6 fatty acids. If you have any type of chronic pain, it is very likely that you do. Come into our office to test and to find out if you having this problem either with a blood test or a muscle test. It is one of the most common problems and one of those significant problems that America faces today concerning its long-term health and you do not have to suffer from it. Call us at (479) 443-0800 or click here to schedule your appointment to get tested today!